Volunteers contribute to the work of the Museum in many different ways, from engaging with visitors in the galleries, to supporting the work of the Museum’s curatorial, learning or administrative departments. Volunteers are the backbone of the Tuol Sleng Genocide Museum, connecting visitors to the museum and its content! We offer a variety of volunteer opportunities based on your interest and skills. A wide range of interesting volunteer roles are available making it a truly rewarding way to become closely involved with the Museum. Volunteering at the Museum is a great opportunity for you to gain skills and experience, meet new people and fuel your passion for film, photography, television and new media. Voluntary activities are mutually beneficial – we need you to help us carry out important and necessary tasks, give our visitors an entertaining and engaging experience, and improve access to the Tuol Sleng Genocide Museum in our care. Our relationship with volunteers is one of mutual benefit, responsibility and commitment. Volunteering is also an important part of our access strategy providing another level of access to collections and services. Volunteering brings educational, developmental and/or social benefits to volunteers and is often an integral and important part of early career development in the sector. Working on IT, including digitizing archives, database management, and web maintenance. Working in the conservation lab and workshop on the care, handling and preservation of the rare objections in our collections. Supporting our community engagement projects with diverse audiences, including maintaining our social media stream, joining our mobile exhibition and educational programs in high schools, and photographing museum special events and activities. Creating learning and educational activities, including arts and crafts, for younger visitors to the museum. Assisting with marketing, evaluation and visitor feedback at the museum from visitors, teachers and students. Undertaking independent research on topics related to the museum’s collections, exhibitions, and archives, and create research and study activities for high-school students. Interested candidates are asked to send their CV attached with a letter of interest to Nisay Hang (hang_nisay@yahoo.com) via email. Tuol Sleng Museum relies on funding from a wide range of sources. There are many ways you can donate to help ensure the display, care and preservation of the museum’s collections for future generations. We gratefully accept cash donations, as well as other kinds of creative support — donating books to our growing library or learning materials for our activity room are just some examples. 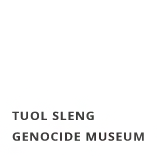 Please consider your support to the Tuol Sleng Genocide Museum today.